Pacific Academy of Higher Education and Research University 1, Airport Road, Pratap Nagar, Debari, Udaipur - 313003, Rajasthan, India. Laxminarayan Dev College of Pharmacy 2, Bharuch - 392001, Gujarat, India. Abstract: Simple, rapid and reproducible stability-indicating methods were established for quantitative determination of azathioprine using a, phenomenex 250 mm × 4.9 mm C18, 5 µm, inertsil and UV detection at 240 nm. The isocratic elution was used to quantify the analyte and the mobile phase was acetate buffer: acetonitrile: methanol (30: 35: 35) was pumped at 1.0 mL/min. The method was linear between 10-300 µg/mL, statistically validated for its linearity, precision and accuracy. In this study, degradation behavior of azathioprine was studied by subjecting the drug to various ICH stress conditions. The intra and inter day variation was found to be less than 1% showing high precision of the assay method. It was found that the excipients in the commercial tablet did not interfere with the method. Developed method can routinely use for the estimation of azathioprine related compounds from the dosage form and also for stability sample. INTRODUCTION: IUPAC Name: 6-[(1-methyl-4-nitro-1H imidazol-5yl) sulfanyl]-7H-purine 1. It is having marked effect on T-lymphocytes 2 and immunosuppressive action which is given orally or by i.v. route 3. It is co administered with cyclosporine and corticoids to prevent rejection after transplantation 4. It is also used in systemic anti-inflammatory states, such as rheumatoid arthritis, lupus erythematosus, colitis ulcerosa, auto immunological hepatitis and Crohn’s disease 5. 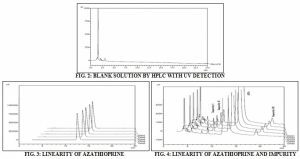 Several methods have been described for determination of azathioprine in pharmaceutical preparations including HPTLC, HPLC and NMR had been used for the determination of azathioprine. The proposed method was validated as per ICH guidelines according to International conference on harmonization (ICH). Materials: Azathioprine was a gift sample from Torrent Pharmaceutical Limited, Ahmadabad. All chemicals and reagents used were of analytical grade and purchased from Qualigens Fine Chemicals, Mumbai, India. Acetonitrile and methanol HPLC grade, water HPLC grade, triethylamine HPLC grade, sodium acetate AR grade and azathioprine Standard. Apparatus: A Shimadzu HPLC, Model: LC-10ATvp (Shimadzu) with rheodyne injector, UV-Visible detector, Model: SPD-10 AVP (Shimadzu) and class VP software. HPLC Column, C18 (size-250 × 4.60 mm, I.D-5 µ) (Phenomenex). Nylon filters 0.45 μm. PH meter (Thermo Electro Corporation). Drug was weighed on balance, Model ALC 210.4 (Acculab). Sonicator used was Ultra Sonicator (Fast Clean Ultrasonic Cleaner). Reagents and Materials: Azathioprine (AZA) and azathioprine were kindly supplied as gift samples by Torrent Research Center, Ahmadabad, India. HPLC grade acetonitrile and sodium acetate was purchased from S.D. Fine Chemicals Ltd., (Mumbai). The water for HPLC was prepared by triple glass distillation and filtered through a nylon 0.45 μm - 47 mm membrane filter (Gelman Laboratory, Mumbai, India). Sodium hydroxide, hydrochloric acid and 30% hydrogen peroxide was purchased from Qualigens Fine Chemicals (Glaxo Ltd.,). AR grade acetonitrile was purchase form ACS chemicals (Ahmedabad). Impurity-I and Impurity-III is in house isolated by degradation process of azathioprine. (a) HPLC Method: The mobile phase has been used for separation consisting of buffer (acetate buffer in water, pH adjusted to 5.0 with tri ethyl amine)- acetonitrile - methaol (30: 35: 35, v/v) using phenomenax C18 column with flow rate 1.0 ml/min. The elution was monitored by peak area at 240 nm, and the injection volume was 20 μL. Acidic Conditions: Acid degradation study was performed by treating sample with 1 N hydrochloric acid, kept at about 100 °C for 3 h and analyzed as per method. Alkaline Conditions: Alkaline degradation studies were performed by keeping the drug content in 1 N NaOH at about 100 °C for 3 h and mixture was neutralized. Hydrolysis of azathioprine observed with two impurities at retention time 5.170 min and 6.444 min denoted as Impurity I and II. Oxidation: Oxidative degradation study was performed by treating sample with 30% w/v hydrogen peroxide, kept at about 100 °C for 3 h and analyzed as per method. Oxidative impurity observed at 16.456 min denoted as Impurity III. Photo Degradation Studies: Photo degradation studies were carried out by exposing the drug powder in a photo stability chamber for 10 days. The powder was spread as a thin layer in a petri plate. The samples of both solution and powder were kept in parallel in darkness for the same period. Thermal Stress Studies: The bulk drug, in a thin layer in a petri plate, and drug solution (1 mg/mL) were exposed to thermal stress conditions in a hot air oven at 100 ºC for 24 h.
Preparation of Standard Stock Solutions: AZA (100 mg) was weighed accurately and transferred to 100 ml volumetric flask. It was dissolved in 50 ml acetonitrile properly and diluted up to mark with acetonitrile to obtain final concentration of 1000 µg/ml. 10 µg/ml solution was prepared for related compound. Preparation of Related Compounds Stock Solutions: Impurity was extracted by preparative TLC. Separate stock solution of related compounds impurity I, II and III of 10 µg/ml were prepared by dissolving 10 mg of each of related substance in 100 ml of acetonitrile. Further diluted 5 ml of resulted solution to 50 ml with acetonitrile. System Suitability Test: System suitability test of the chromatographic system was performed before each validation run using five replicate injections of a standard solution. Theoretical plates and tailing factor were determined. Calibration Curve: From the stock solution of AZA (1000 µg/ml) and AZA related compound (10 µg/ml), appropriate aliquots selected to prepared final concentrations of 10 to 300 µg/ml of AZA and 0.1 to 3 µg/ml of AZA related compound solution. All these solutions were injected into HPLC column and the peak area of each solution was measured at selected wavelength. Figure shows the resolution of AZA and its related substance. Accuracy (% Recovery): To ensure the accuracy of method, recovery studies were performed by standard addition method at 80%, 100% and 120% levels of drug concentrations, to the pre-analyzed samples and they were re-analyzed. Accuracy of the method for all the related substances was determined by analyzing AZA sample solutions spiked with all the related substances at three different concentration levels of 0.1 µg/ml, 1 µg/ml and 3 µg/ml and sample concentration of 1000 µg/ml each in triplicate. Repeatability: Repeatability was performed by analyzing six separate AZA solutions of concentration 1000 μg/mL that were prepared by spiking the related substances to give 1 μg/mL of each of Impurity I and II. The % R.S.D for each related substance was evaluated. Intermediate Precision: The intermediate precision of the method for AZA and related substances was determined on three separate sample solutions prepared by spiking the related substances by two different analysts on two different days. The mean values of results for each day and for each analyst were compared. Robustness: The robustness of the method was checked by repeatedly injecting (n = 5) standard solutions of 1000 µg/ml in two C18 column one was made by phenomenex and one by hypersil for the HPLC method. Limit of Detection and Limit of Quantification: The limit of detection (LOD) and the limit of quantification (LOQ) of the drug were calculated using the following equations as per International Conference on Harmonization (ICH) guideline 17. Where X = the standard deviation of the response and S = the standard deviation of y-intercept of regression lines. Isolation of AZA Related Compounds: Drug substance was kept under alkaline medium for 24 h and impurity formation compound was filtered and isolated to check the retention time of degradation product formation. Formed product retention time is matching with the degradation product observed during alkali degradation. Further, impurity was purified by preparative TLC method. Alkali degradation impurity was detonated as Impurity - I and II. Drug substance was kept under with 30% H2O2 for 24 h and impurity formation compound was filtered and isolated to check the retention time of degradation product formation. Retention time of product formed is matching with the degradation product observed during peroxide degradation. Further impurity was purified by preparative TLC method. Oxidative degradation impurity was detonated as impurity - III. Analysis of AZA Related Compound in Marketed Formulation: Full content was transferred into a 10 ml volumetric flask containing 5 ml ACN, sonicated for 15 min and further diluted to 10 ml with ACN. The resulting solution was sonicated for 10 min and supernatant was filtered through Whatman filter paper no. 41. 20 µl of this solution was injected into HPLC column for two times and peak area was measured at 240 nm and average was considered for HPLC method. The amount of AZA in sample solution was determined by fitting the responses into the regression equation of HPLC. HPLC Method: To optimize the HPLC parameters, several mobile phase compositions were tried. A satisfactory separation and good peak symmetry for AZA was obtained with a mobile phase consisting of buffer (Acetate buffer in water, pH adjusted to 5.0 with triethyl amine)-acetonitrile - methanol (30: 35: 35, v/v). The elution was monitored by peak area at 240 nm, and the injection volume was 20 μL using phenomenax C18 column with flow rate 1.0 ml/min. Detection wavelength was 240 nm. A complete resolution of the peaks with clear baseline separation was obtained Fig. 1. Two related substances were detected and well resolved by the method. The retention data for AZA and related substances is indicated in Table 1.
and concentrations of AZA in the range of 10 – 300 μg/ml and 0.1 to 3 μg/ml for AZA related compounds. The linearity of the calibration curves was validated by the high value of correlation coefficients of regression Table 2. Accuracy: The recovery experiments were carried out by the standard addition method. The recoveries obtained were ranged between 99.61 - 102.24%. The values of % assay range 99 - 102% indicated there is no any interference form excipient present in formulation. Figure shows that AZA can well separate form its all type of degradation products so developed HPLC method is specific and selective for AZA. Precision was expressed in terms of % R.S.D. All values for precision were within recommended limits. The % RSD values for precision and LOD and LOQ were reported in Table 2. CONCLUSION: In this study, it was possible to develop a selective and validated stability indicating HPLC assay method for azathioprine on a C18 column, which could separate the drug and its degradation products formed under a variety of stress conditions. AZA was found to be sensitive to the hydrolytic and oxidative condition, whereas it was comparatively stable in thermal and photolytic condition. TLC used to isolated and separate AZA form its degradation products. Based on NMR and mass data three impurities were isolated and characterized as impurity I (1-methyl-4-nitro-1, H-imidazol-5-amine, reported as impurity A in BP), impurity II (7H-purine-6-thiol, reported as impurity B in BP) and impurity III (Identified as oxidative impurity). The results of the analysis of pharmaceutical dosage forms by the proposed methods are highly reproducible and reliable and are in good agreement with the label claim of the drug. The method can be used for relates substance analysis of AZA in pharmaceutical preparation and also it is hoped that this report on stability indicating method and degradation of AZA would be helpful for the multiple generic manufacturers of the drug around the globe by saving them for unnecessary repetition of the same studies. 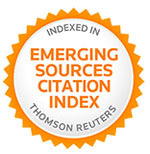 ACKNOWLEDGEMENT: The authors are thankful to Torrent Research Center, Ahmadabad, India, for providing standards sample of drug and also the Shree Dhanvantary Pharmacy College for providing facilities to carry out work. Neil MJO: The Merck Index, Merck and Co. INC., White House Station, NJ: USA 1996; 14: 672. 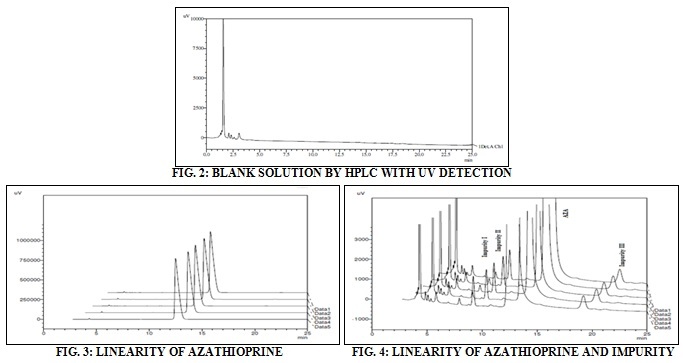 Bhaskar M, Manohara YN, Gayasuddin M, Balaraju M and Kumar BT: Spectrophotometric determination of azathioprine in bulk and pharmaceutical dosage forms. Int. J. of Chem. Tech Research 2010; 2: 376-378. Smita S and Mukesh S: Spectrophotometric and atomic absorption spectrometric Determination and validation of azathioprine in API and pharmaceutical dosage form. J. of Optoele. Biomed. Mate 2010; 2: 213-216. Thierry D and Roselyne B: Simultaneous determination of 6-thioguanine and methyl 6-mercaptopurine nucleotides of azathioprine in red blood cells by HPLC. Clinical Chemistry 1998; 44: 551-555. Prashant LK, Gantala V, Jignesh K and Ravi: Recent advances in sample preparation techniques for effective bioanalytical methods. Biomedical Chromatography 2011; 25: 199-217. Sahnoun Z, Serre DF, Lang J, Faucon G and Gavend M: Determination of 6-mercaptopurine and its metabo-lites in plasma or serum by high performance liquid chromato-graphy. Biomedical Chromatography 1990; 4: 144-147. Teck LD and Leslie ZB: Determination of 6-mercaptopurine and azathioprine in plasma by high-performance liquid chromatography. Journal of Chroma-tography B. Biomedical Sciences and Applications 1979; 163: 281-288. Thierry D and Roselyne B: Simultaneous determination of 6-thioguanine and methyl 6-mercaptopurine nucleo-tides of azathioprine in red blood cells by HPLC. Clinical Chemistry 1998; 44: 551-555. Hiralben SM, Shinghvi I and Raj HA: Development and validation of stability - indicating RP-HPLC chromatographic method by forced degradation studies for azathioprine by related substances. 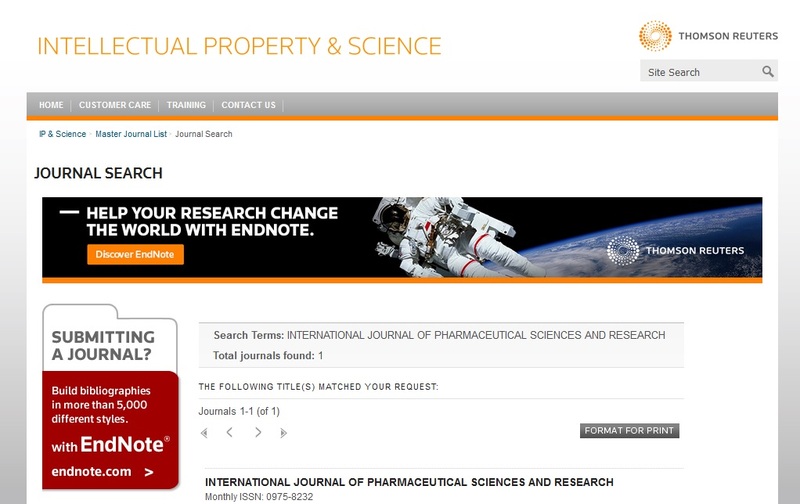 Int J Pharm Sci & Res 2018; 9(11): 4759-63. doi: 10.13040/IJPSR.0975-8232. 9(11).4759-63. Authors Address: Pacific Academy of Higher Education and Research University, Airport Road, Pratap Nagar, Debari, Udaipur, Rajasthan, India.